One of two things will happen to you when confronted with the bold and brassy acts of clairvoyance that Rebecca Anne LoCicero whips up onstage. One will be a sense of reluctant amazement. The other will be a deep, head-shaking skepticism. 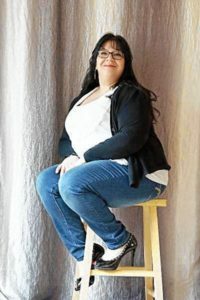 LoCicero has been working in the New England area, nationally, and worldwide for more than two decades, and the funny, occasionally outrageous impromptu readings she performs on members of her live audiences are entertaining enough on their own. But we’re lucky to have radio personality and beloved local smartass Monte Belmonte (93.9 The River) onstage as well, doing what he does best: cracking sarcastic and probing the how, why, and what-on-earth moments inherent to LoCicero’s act. The Psychic and the Skeptic: Friday, Jan. 13 at 7:30 p.m. $15 advance; $20 at the door. Shea Theater Arts Center, 71 Avenue A, Turners Falls. 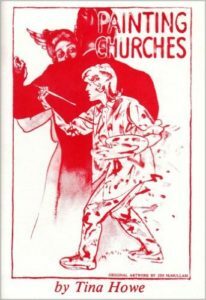 sheatheater.org. He played Tim the Enchanter and Deadly Dirk. He wrote A Fish Called Wanda and starred alongside James Bond, Shrek, and Harry Potter. He practically invented silly walking. Now comedy legend John Cleese — who will always be, for us, one-sixth of the comedy troupe Monty Python — is coming to the Bushnell. 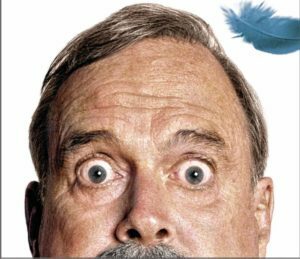 The evening includes a full screening of Monty Python and the Holy Grail (try not to sit next to someone who’s going to quote the whole 92 minutes in your ear) followed by a conversation and audience Q&A with the big Cleese himself, including stories of his life and career. Absurd and ridiculous questions only are requested, please. John Cleese and the Holy Grail: Friday, Jan. 13 at 7:30 p.m. $49.50-$110. William H. Mortensen Hall at the Bushnell Center, 166 Capitol Ave., Hartford. (860) 987-6000, bushnell.org. To rouse and regale the musical elite of Vienna, only to end up playing second fiddle to a virtuosic upstart named Wolfgang Amadeus Mozart — that is the tragic (and darkly comic) fate of Italian classical composer Antonio Salieri, as imagined in Peter Shaffer’s iconic stage play Amadeus, which won a Tony Award for Best Play in 1981 and, in movie form, eight Oscars in 1985. Here, in a new production by the National Theatre of London (presented live in HD broadcast to screens around the world), Salieri is played by Lucian Msamati (Luther, Game of Thrones). Confident in his craftsmanship, but shocked to find his creative well less deep than that of the young, foppish Mozart, Salieri is seized by obsessive jealousy — a torment that carries him into a war with Mozart, with music, and ultimately, with God. 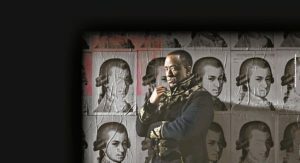 This production of Amadeus enjoys live musical accompaniment from the world-class youth orchestra Southbank Sinfonia. Amadeus: Saturday, Feb. 4 at 7 p.m. $17. Recommended for ages 12+. Mahaiwe Performing Arts Center, 14 Castle St., Great Barrington. (413) 528-0100, mahaiwe.org. As tough, fun, and rewarding as it can feel to launch a new regional festival, you can’t quite call it a “tradition” in its first year. 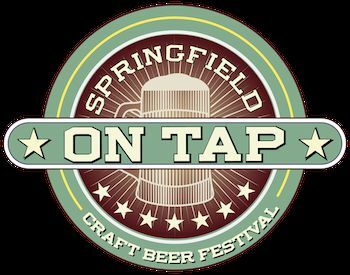 That changes in February, when the craft beer and music festival Springfield On Tap returns. The annual event will feature more than 130 American craft beers from more than 65 breweries (that includes selections from local favorites) plus live music, vendors, and enough local food to warm your heart (and stomach) on a cold winter day. General admission buys three hours of sampling time, while VIP access gets you some free swag and entry 90 minutes earlier in the day. Springfield On Tap: Saturday, Feb. 4 from 12:30-5 p.m. $35 general; $60 VIP. 21-plus. Eastern States Exposition, 1305 Memorial Ave., West Springfield. springfieldontap.com. 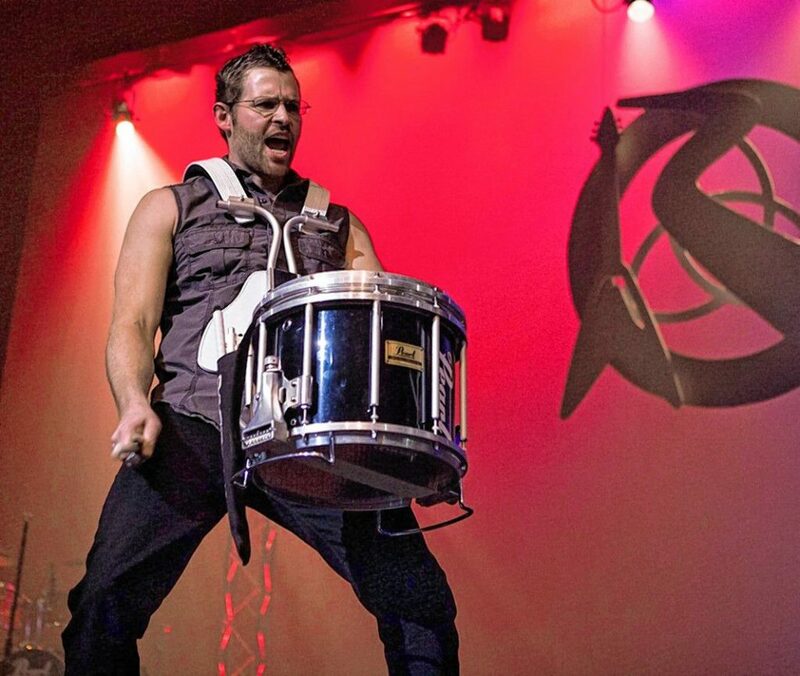 Ever wonder what it would be like if the guy from Riverdance threw his arms down, picked up a guitar and started shredding while a drum line pounded out classic Irish reels? Good news, this experience exists and it’s breathtaking. Rockin’ Road to Dublin combines traditional Irish dance holiday shows Riverdance and Lord of the Dance into a heart-pounding artistic adventure. Get up for rock ‘n’ roll riffs, electrifying dancers, and a crazy light show. Rockin’ Road to Dublin: Friday, Feb. 10, 2017. $33-$43. Symphony Hall, 34 Court St., Springfield. (413) 788-7033. 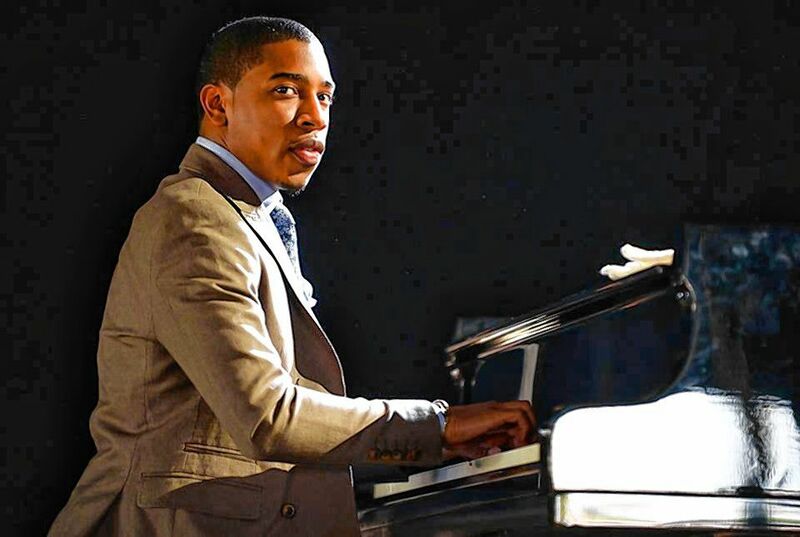 Christian Sands Trio: Saturday, Feb. 11 at 8 p.m. $20-$40 sliding scale. Vermont Jazz Center, 74 Cotton Mill Hill #222, Brattleboro. (802) 254-9088, vtjazz.org. In his 40-plus years as the host of A Prairie Home Companion, the humble king of radio Garrison Keillor has solidified his status as one of America’s greatest living storytellers. 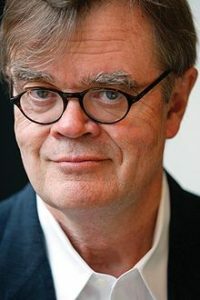 Keillor had said just before his retirement from the show earlier this year that he relished the idea of fading into obscurity, but it doesn’t seem he’s ready to quit regaling audiences with tales of Lake Wobegon just yet. Come see for yourself what makes Keillor a national treasure. Saturday, Feb. 18 at 8:00 p.m., $59.50 – $89.50. Academy of Music Theatre, 274 Main St., Northampton. (413) 584-9032, aomtheatre.com. Playwright Tina Howe’s award-winning Painting Churches is a sweet and heartfelt look at the way the relationship between parents and children changes with age. The play follows Fanny and Gardner Church as they pack for a move from their Beacon Hill townhouse to a retirement home on the Cape. Their daughter Mags, a New York artist, watches her parents as they struggle with the consequences of aging as she helps them pack and paints their portrait. Feb. 23 – April 2, 2017. 131 Elm Street, West Springfield. $23-$31. (413) 747-7797, majestictheater.com. Rafael Bonachela describes himself as something of a “movement junkie.” As a child during long car rides, he must have been a royal pain. 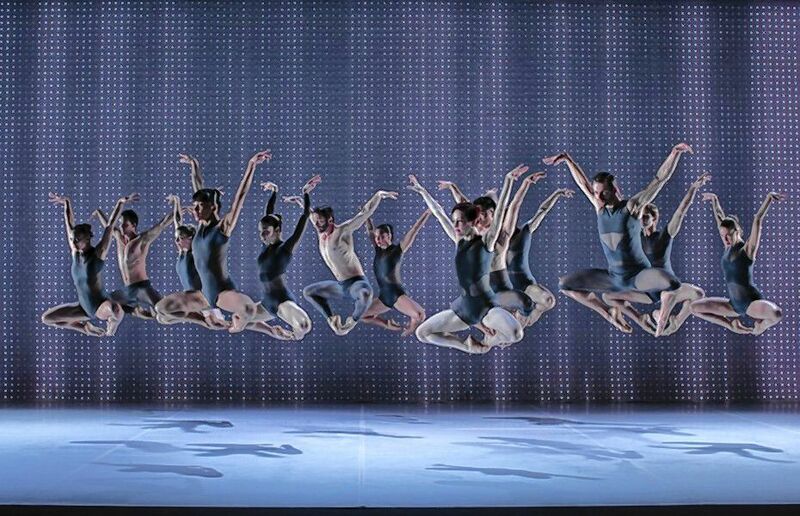 But as the exuberant artistic director of the Sydney Dance Company, he has crafted quite a home for himself. His vivid, high-energy shows — danced by a legendary and tenacious company — show great sensuality and imagination. 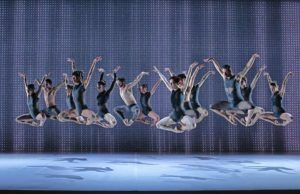 Now the company comes to the Fine Arts Center with a mixed repertory program that The Guardian called “passionate yet highly precise, demanding and often breath-stealing.” After the show, stick around for a discussion and Q&A with the dancers. Sydney Dance Company: Tuesday, Feb. 28 at 7:30 p.m. $20-$45 general; $10-$15 Five College students and ages 17 and under. Fine Arts Center Concert Hall, UMass Amherst. 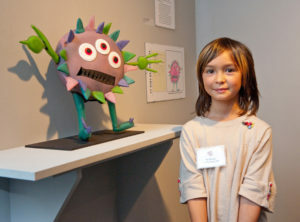 (413) 545-2511, fineartscenter.com. “In sculpture, when you represent a body at a size different from its own, metaphor rushes in,” says Michigan-born artist Elizabeth King when talking about her most expansive, one-person exhibit: Radical Small. Combining sculptures inspired by art and fitting human forms with video of stop-motion animation, King creates a study of movement on a micro-scale and examines what we display to others as we move around in the world. MASS MoCA describes the exhibit this way: “King will test the power of small sculpture to articulate and command a large double-height gallery, staging an extended exchange of dimensionality and scale through the languages of sculpture, film, and animation.” King will also use the gallery as an animation studio for the first two weeks of the exhibition, producing a new film of her sculptures. Radical Small: By Elizabeth King. Mar. 4, 2017 to Jan. 1, 2018. MASS MoCA, 1040 MASS MoCA Way, North Adams. It may seem that children and glass blowers make for an unlikely collaboration, but a Glasstastic, an exhibition at the Brattleboro Museum and Art Center, aims to do exactly that. Sixteen local glass blowers from around the region will be bringing to life in glass the fantastic creatures that spring forth from the imaginations of local grade-schoolers. Local kids have until Dec. 30 to dream up and draw as many wild creatures as they want for a shot at seeing them reproduced as ornate glass sculptures. The chosen designs will be on display at the museum starting in March. Deadline for submissions: Dec. 30. On display March 18 – June 18, 2017. $4-$8 admission. 10 Vernon St., Brattleboro, VT. (802) 257-0124, brattleboromuseum.org. The Zombies are an under-appreciated English rock band that formed back in 1961 during the British Invasion, an era where America’s radios were heavily pumping out rock beats from across the pond. The band scored several hits — including “She’s Not There” (1964), “Tell Her No” (1965), and “Time of the Season” (1969) — but never enjoyed the popularity of some of their peers. Today, music lovers say The Zombies’ music was too ahead of its time to be appreciated when it first came out. Sure, it’s poppy, but their music is also experimental, with bitter organs and gruff vocals. Rolling Stone put the band’s 1968 album, Odessey & Oracle, as No. 100 in a list of the top 500 rock albums of all time. To celebrate The Zombies’ newfound fandom and the 50th anniversary of the record, the band is touring this year with a stop in Northampton Mar. 31. Colin Blunstone, Rod Argent, Chris White, and Hugh Grundy will perform Odessey & Oracle in its entirety. 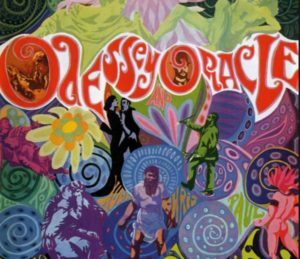 The Zombies 50th Anniversary Tour: Odessey & Oracle. Friday, March 31, 2017, 8 p.m. $35-$65, VIP: $155-$200. Calvin Theater, Northampton. nbotickets.com.